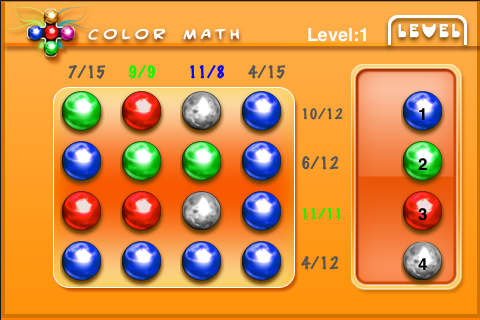 The game screen has 16 colored circular buttons arranged in 4x4 order, each row and column has a label. 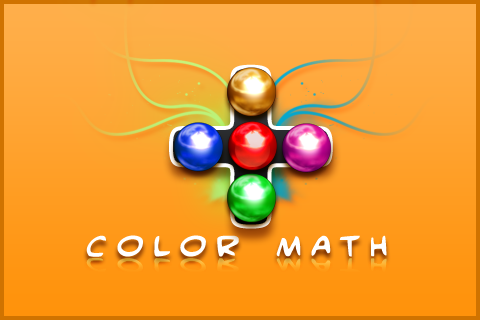 On the right side color codes are placed; a color code shows the color and value of each button type. On clicking each button in the 4x4 array it's color and value changes, also it's respective row label and column label values change. The user cycles through combinations to get the target label values. On acheiving all 8 target label values user wins that level. In Free Play mode the user selects the level and plays for practice without a timer. 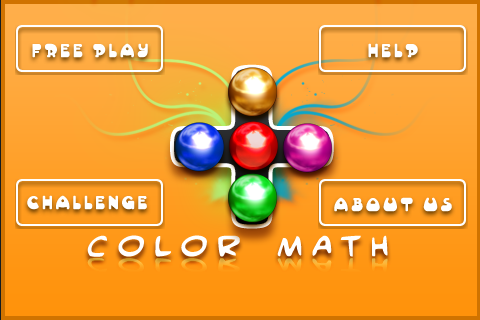 In Challenge mode the player plays from level 1 on time and progresses.